When Westfield Shopping Group needed signs for their upscale mall expansion at Valencia Town Center, they selected CNP Signs & Graphics. 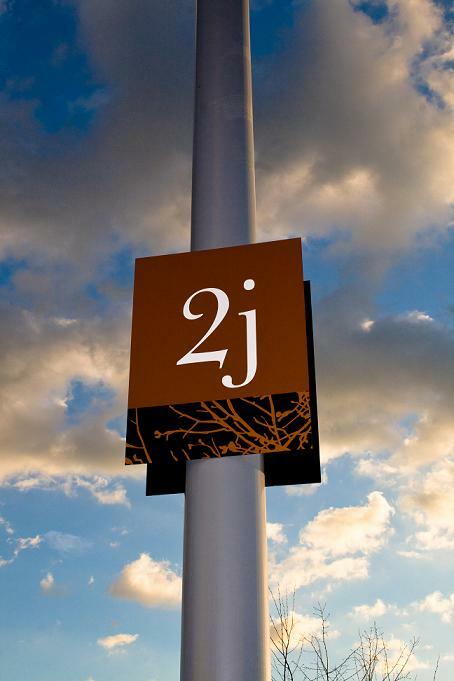 Both teams worked closely to develop a cohesive sign program that both blended with the upscale surroundings and did the most important task of directional signage – helping customers navigate their way through the property. In addition to directional signage, CNP Signs & Graphics also crafted custom signage for The Patios, a luxury outdoor district with cafes, restaurants and fashionable boutiques within the Valencia Town Center. The goal of the signage was to enhance the environment of the mall, creating a unique shopping atmosphere. One of the project challenges was the exterior routed panel portion. Their intricate layout design created a structural challenge to secure the ten foot framings to the existing walls while giving them the effect of seamlessly floating. Additionally the client wanted to integrate indirect or mood lighting to cast dimensional shadows on the surfaces surrounding the panels. 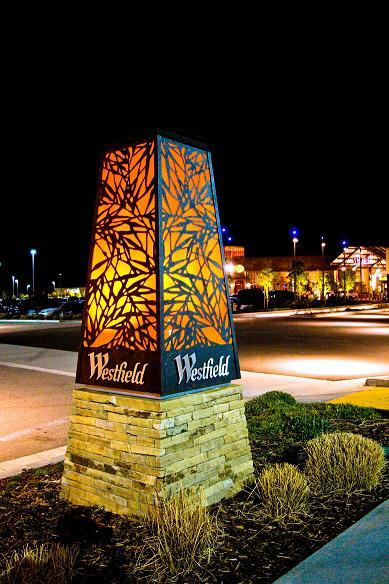 Westfield’s plan called for signs with a weathered patina. These new signs would need to have an aged appearance on the outside, and a modern, long-lasting inner structure. To find face metal with these characteristics would have been very costly, but CNP’s professional painters came to the budget’s rescue by using faux-rust painting techniques for a fraction of the anticipated cost. When working in such a fast-paced, all-at-once build, organization is everything. 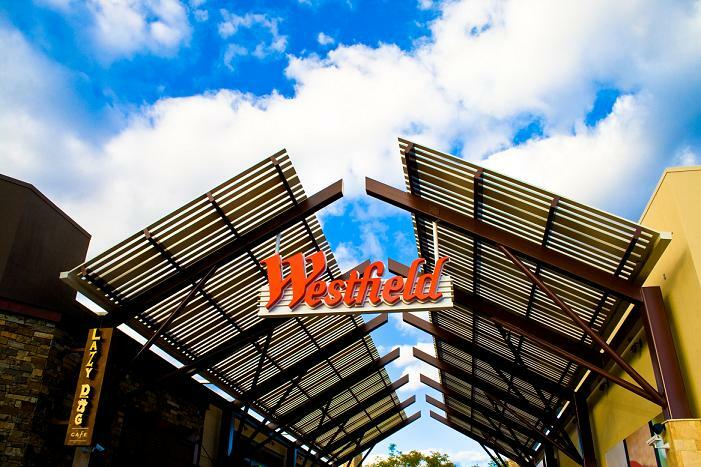 With Westfield’s tight schedule and firm opening date, all phases of the work needed to be done right the first time. CNP was chosen in part because of their outstanding record of delivering projects on time and on budget. For the Westfield project CNP project managers, production foremen and field representatives worked together like a well-oiled machine shop to keep the project on track.